I don’t like to be happy for the problems of other people, and I definitely don’t want to be a bad feminist who tears other women down. Or someone who leaps to conclusions. But after Prenaa: A) implied John Abraham was stupid and didn’t know how to run a movie set; B) Refused to pay her personal masseur for 5 months while the woman was trying to make money to pay for her husband’s cancer treatment-I think I am okay with being just the littlest bit delighted that she is now in jail. Plus, she was arrested by the Economics Offences Wing, not like just a local police station that hadn’t even investigated the claims. Makes me think there must be something to them. Just a reminder of who Prenaa is. She is the daughter of a producer who was handed a production company (KriArj pictures) in her mid-twenties. She promptly gave a bunch of interviews in designer clothes talking about being young and vibrant and risky (I only mention the designer clothes because the interviewers didn’t, and to me if you have the money to buy those, you are not really being so risky). KriArj specialized in being a matchmaker type studio, they would take directors with film ideas put together and find major companies to pay for those ideas. The money filtered through Prenaa. Or, failed to filter through Prenaa. The first issue that came up was Kedarnath which they tried to break off the contract for and take away from the director. Which seemed like maybe it was a one time issue, since the director was Abhishek Kapoor and his last film (Fitoor) was a disaster. 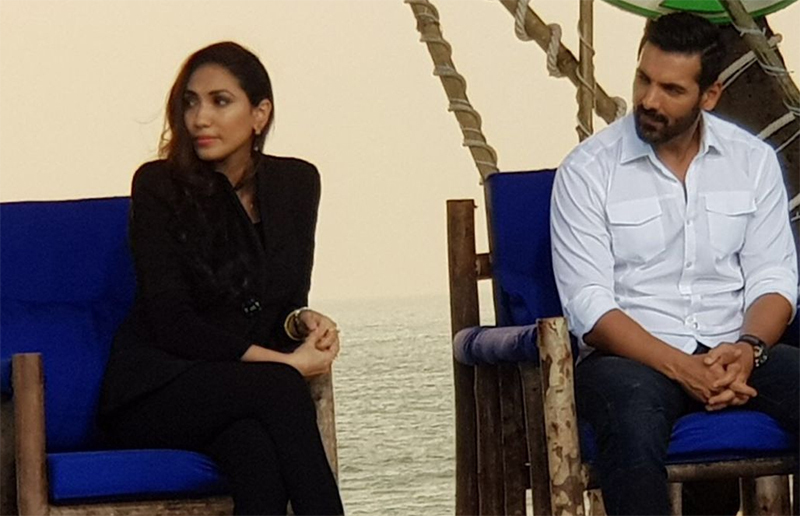 But then the same kind of thing came up with John Abraham’s Parmanu, and this time they leaked stories that it was because John was an inexperienced producer, and gave official statements saying that he didn’t understand business contracts and stuff. Eventually it went to court and a judge forced them to find a compromise, and John was able to get his film out of their clutches and make deals directly with a distributor. Fanney Khan was their film too, also ran out of money, also had to make a deal directly instead of through them. And in the middle of all of this, it came up that Prenaa had a 60 year old female masseur who was expected to be on call midnight to 8am, worked for her for 5 months, never got paid, finally filed a police report in desperation after Prenaa refused again to pay her and physically threw her out of the house. Prenaa responded by filing a counter-report that the woman stole from her. Oh, and did I mention she only needed the money to pay off the loans she had to take out for hear dead husband’s cancer treatment? So, yeah, I think I am okay with Prenaa being in jail. There’s a whole lot of work still pending. The post-production and the special effects are far from done. There are big epic-scaled battle sequences which require a lot of CGs (computer graphics). Also, Kangana insisted on re-shooting some of battle sequences after she took over the direction. This proved costly and time-consuming, as the shooting and special effects had to be done again. So I don’t know if the film will make it (on schedule). Oh dear. I suppose if you were very very low on the totem pole, you might just be grateful for a steady paycheck on the never-ending shoot, and the occasional entertainment of watching the power shifts far far above you. But for everyone else, this must be a NIGHTMARE. Your work constantly thrown out and forced to redo it (I’ve had bosses like that, it is THE WORST), getting caught up in weird power dynamics, having to turn down other jobs you had lined up because this shoot is never ending. Like I said, it just makes me happy that I have the job I have. This is a very smart project, practically a guaranteed hit. Especially once he throws in Dulquer as the potential male lead, giving it some good north-south crossover appeal supported by the patriotic topic. But, why Janhvi? There are so many other actresses, more experienced actresses, older actresses, who could pull this role off better than her. And so many other movies she could be in that would let her get her feet wet, let her stay young a little longer, instead of trying to leap forward to this big important part. It’s a guaranteed hit for her in the short term. Introduce her to the southern audience, give her a role that is so good it’s almost impossible to mess it up, and get some good publicity for doing something “new” and “different”. But then long term, it’s too much too soon (I think). She can’t go back to simple light easy parts after a role like this, which means she is suddenly thrown into the spotlight with expectations raised sky high. Let her relax, let her take some time and just have fun with her career, what’s the rush? And at the same time, let some other more experienced older actress (Patralekha, Kiara Advani, Taapsee) take this very good very high profile part. And that’s the news for today! Tell me what you think, which story gets your dander up, which makes you happy. This entry was posted in Uncategorized and tagged Filmi News You Can Use, Janhvi Kapoor, Kangana Ranaut, KriArj, Manikarnika, Prerna Arora by mredlich21. Bookmark the permalink. I’m very happy Prerna is in jail. She is a fraudster who stole money and doesn’t have any working ethics, her place is in prison. And thinking it doesn’t make me bad feminist because I would say the same if she was a man. Manikarnika news is nothing unexpected. Kangana cuts and throws scenes only because she doesn’t lke the hair of an actor so I knew this movie will never be ready on time. The only questions is: how many weeks it will be delayed? Janhvi – at least Karan didn’t give this role to Alia, and that’s something. But I think he should make her do this southern romance with Vijay Devarakonda I imaginated in my head. I agree. Janhvi and Vijay D. need to be in a South Indian style rom-com. I don’t have a great view of her acting abilities and the more and more I look at her, I think she’s kind of funny looking in a cartoonish kind of way. (I know, I’m terrible!) But I did think she was speaking for all of us when she admitted her crush on Vijay on KWK and she should get the chance to star with him! What is wrong with Karan?! He’s giving her a good role in Takht. Stop! He should go and discover someone not in a filmi family to counteract all of the bad press instead for this role! And he has discovered people not in a filmi family! I am very excited about him working with Kiara Advani, an actress who has a career before him and can really benefit from his help. But when it comes to the really really good roles, he keeps giving them to his favorites. Yeah, at this point it would have been bigger news if Manikarnika HAD come out on time. I really think Janhvi needs to do more romances. Or at least more light romantic lead parts. She isn’t ready for anything big, not yet, and it’s not fair to her or the audience to cheat her out of some time to experiment. I just watched the Filmcompanion round table with producers and Karan Johar was part of it.He makes so much sense in interviews like these and speaks so logically like someone who really gets how things works,how people work and how to make good movies. But then his actions are at odds with what he says & so very predictable.Not surprised about Janhvi story.He doesn’t hand over the product once it is launched. He has to establish ‘it’ as a super saleable brand that will make his future films-featuring this particular product- more profitable. Do you think he takes all the people under his wings & makes their careers to success as a way of branding himself as the kingmaker or the power that never fails or the power that noone dares to offend? He is the common factor among Baahubali,Alia,2.0,SRK and a lot of other things u see as successful. I watched the Producers Roundtable too last night. I like the female producer who did Raazi and Badhaai Ho. She’s a force to be reckoned with. Karan sometimes zones out in weird ways when he’s not the center of attention, did you notice? Also, I call BS on his #metoo comments. I think he thinks he gets a pass because he’s a gay man, but I’d bet that somewhere in Dharma there have been or will be problems. CEOs unilaterally saying that nothing like that could ever happen in their shop are kidding themselves and asking for trouble! One more thought…Aanand L. Rai seems a bit out of touch with the real world. He strikes me as very odd in his interviews. I had to Google that lady out to know who she is. She seems like someone who knows & does things.Someone Prerna Arora can learn a thing or two from.Yep,Karan was hogging most of the conversation but he makes excellent points-but not sure if he really believes in them or it’s just for the effect.Thats how most of his interviews are. Anand Rai struck me as someone who seemed a bit bewildered and can’t quite express himself as articulately as Karan Johar or Sid Roy Kapoor(first time hearing him,great choice Vidya Balan!) and someone who isn’t quite comfortable with limelight.He struck me as the old school producer who can make good stuff but can’t really talk about it.#Metoo are all token statements,can’t take them on face value. I don’t think he does it to make himself kingmaker, but there is a clear practical advantage for him. If he can build up the stars of tomorrow to be loyal to him and his studio, than he can control the industry. I don’t even necessarily think he sees it as a bad thing, you could also say that Karan recognizes quality and uses his ability to market it. He’s the reason Bahubali and 2.0 got such fantastic releases, that’s true. Maybe he thinks of picking up Janhvi and the other actors in the same way, he recognizes their quality and is just trying to help market it. Not saying it’s a bad thing. He can put his money on whoever he finds interesting(there’s Avinash Tiwary if he was really looking for quality)but once he takes them on,their success is kind of his success too-on top of earning their loyalty.Alia is the proof that he is the star maker-intentionally or not. They are pushing Jhanvi way too hard. She just lost her mom at such an extremely young age, then being made to start in a film about familial murder, and now being made to helm another project. She’s gonna have a nervous breakdown or drift off into fantasy land. I guess KJo wants to milk as much money as possible out of her before that happens. I watched that Producers Adda too. OMG KJo would not let anyone else talk. And every tine anyone else talked – esp the men – he would cut them off mid sentence. Does he know the meaning of the word Roundtable? Sid Roy Kapur is extremely intelligent yet completely articulate and engaging. It’s a crying shame that KJo wouldn’t let him speak. He’s very wonky when discussing the business side of things and yet never boring. Here is a one and a half hour solo interview from a few years ago where Sid Roy Kapur does nothing but talk shop, the interviewer isn’t great and she trips up his flow a bit, but otherwise you can see how much information he can convey and yet make you understand it all. I could see Janhvi and her family leaping on acting as a way to keep her close to her mother, and the plan her mother had for her. But I also think it is a terrible idea! Even if well-intentioned. She needs to grow up a bit and be with herself, not just keep running and running and distracting herself. I want to storm the gates and force them to let her go into therapy! I am so glad SRK is charming and intelligent. Mostly for the sake of Vidya. But it also explains why he is the head of the producers association, the most important industry lobbying group. I can understand getting the first couple of films in, ideally youthful light romances (since one ages out of such films rather early), then take a year break to decompress and process her grief before returning. Nowadays a year absence doesn’t affect your star power much, the way it would have a couple decades ago. Honestly as interview subjects, I think *both* SRKs give the best male interviews in the industry. The helicopter role is what puts me over the top. Takht was announced a while back, and she can do it with her family on set with her. But then, take a break! Do a college course, go on vacations with your Dad, grow up a little bit! Why rush into this difficult helicopter hero role? And now I want an SRK versus SRK interview. 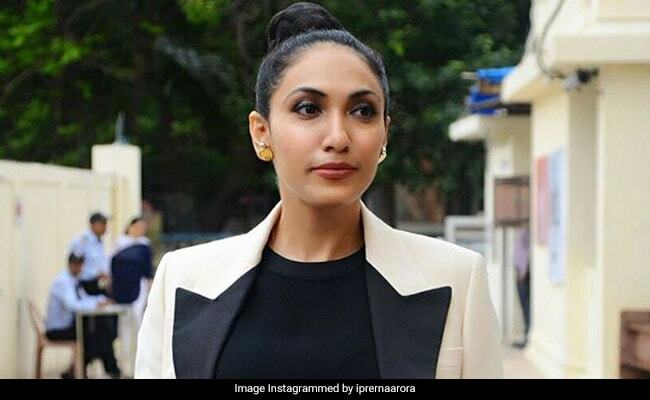 Oh I didn’t know this prerna arora but if she’s done fraud she deserves to be in jail. Nothing non feminist about it. Will manikarnika get an actual release? I can’t help but wonder. Movies like these eventually get stalled due to lack of funds. Who is funding this movie endlessly to cater to kangana’s whims? Sounds like Kangana hit on the perfect moment to ask for the reshoots, far enough in that it would be a big loss if the film didn’t release but not so far that the final edit was done and they could just release without her. If I were the producer, I would be kicking myself now for not just saying “no” from the start instead of letting it reach this point.